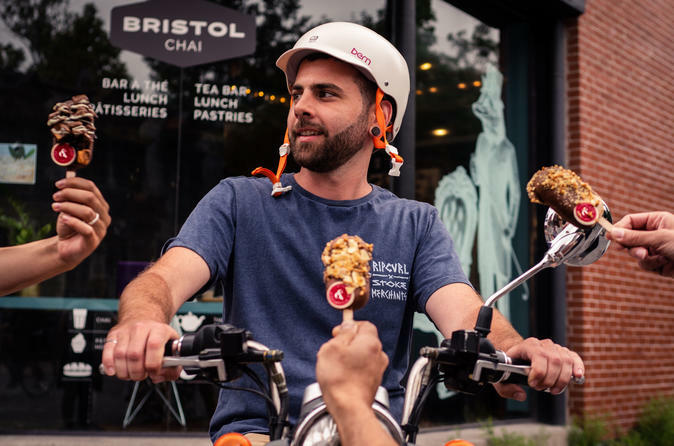 Dyad innovates with two new food tours focused on street food in the most happening neighbourhoods in Montréal. This tour will take you through charming Old Montréal and will let you discover the rapidly changing area of Griffintown. The tour will also head to the South West sector and Atwater Market, places at the heart of the most dynamic food and restaurant scenes currently going on in Montréal. We invite you to savour and discover the distinct particularities of Montréal’s street food. On the menu: shrimp “guédille” - a Québécois invention, a famous smoked meat sandwich - a Montréal culinary emblem, exotic Southeast Asian satays, delicious meatballs and a decadent “pop” stick for dessert. This tour will take you through Mile-End and Little Italy, both hotspots for Montréal foodies. We will stop at the Jean-Talon Market, the largest outdoor market to the north of Mexico. As for the Plateau-Mont-Royal, it’s at the heart of Québécois or French culinary culture. We invite you to savour and discover the distinct particularities of Montréal’s street food. On the menu: a taste of gnocchi, which represents a touch of the Italian side of the city, a famous smoked meat sandwich, pulled duck meat poutine - a twist on a Montréal culinary emblem, a stop to discover some local cheeses and cured meats and a maple donut concocted by an internationally renowned pastry chef for dessert.